"I’m really excited about doing these acoustic shows. 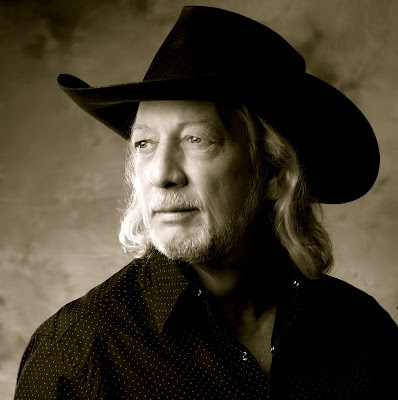 It gives my fans an opportunity to experience a whole other side to John Anderson they haven’t seen before in an intimate setting, and the reaction so far has been overwhelming,” said Anderson. “This is also a monumental year for me, being the 35th anniversary of my album, Wild & Blue. We've got some big things in store for 2017." The highly anticipated tour will resume March 3 in Red Rocks, Oklahoma, while making multiple stops throughout Texas, with an intimate, acoustic set. Fans can expect to hear even more of the country singer’s catalog of hits, which includes other anthems like “Seminole Wind,” “Straight Tequila Night,” “Black Sheep” and more. Concertgoers will get an acoustic experience, as the Hall of Fame songwriter captivates audiences with his honest and heartfelt lyrics that have made him one of traditional country music’s biggest stars. Anderson will appear at Sing Me Back Home: The Music of Merle Haggard, which will pay tribute to the country outlaw on April 6 in Nashville. In addition to crossing paths regularly over the years, Haggard also penned the single “Magic Mama,” a song which was written with Anderson specifically in mind for his latest project Goldmine. Anderson will join an all-star lineup, which also includes performances from Willie Nelson, Kenny Chesney, Miranda Lambert, John Mellencamp, Hank Williams Jr., Bobby Bare and more.